I will never forget my first experience with a Progressive Beef audit. 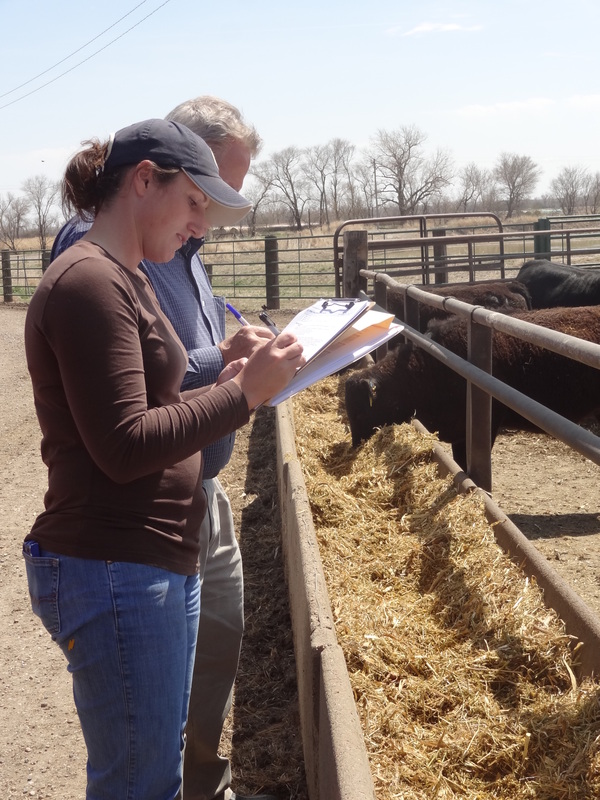 While our feed yard had participated in the Beef Quality Assurance Feed Yard Assessment for several years, my veterinarian filled the role of auditor under that voluntary educational program. The Progressive Beef Quality Management System took auditing to an entirely new level for my crew and I. While it ultimately provided a tremendous tool for improvement, opening my farm to an “outside auditor” made me uncomfortable. My feed yard was my pride and joy, and my crew like family. I am a perfectionist and hold myself to a very high level of accountability. A comprehensive audit often finds imperfection as it is designed to measure performance to a high level of detail. It is my nature to take things personally and I viewed every infraction (no matter how small) as a slight on my own leadership. The rational part of my brain recognized that growth and continuous improvement involved measuring performance at a detailed level. The metrics of the audit forced me to face imperfection. The intellectual Anne knew that the road to excellence was never comfortable, and that perfect practice made perfect performance. The emotional Anne dreaded audit day. Human nature insists that we perform better when we are held accountable for our actions. True understanding comes when you realize that the little things count. Dotting your i’s and crossing your t’s really does raise the level of care that you offer to your animals. Animals matter so details had better matter. Daily dedication to a goal of excellence builds a positive culture. When you are dedicated to caring, awesome things happen. Integrity is the voice that sits on your shoulder when you make decisions. You are more likely to listen to it when you live amidst a culture of excellence. Caregivers with integrity bring honor to the farm and lead to responsibly raised food. Trust in our food supply plays a critical role in the stability of our country. Verification of care inspires trust. If it matters to you, it had better matter to me. We’re in this together. One of the responsibilities for my new job is becoming a Progressive Beef auditor. I am in the process of changing my position relative to who holds the clipboard. I am hopeful that my past experience as feed yard boss lady will enable me to empower the feed yard crews that I audit to believe in the heart and spirit of an audit. Getting better matters. It involves accountability, understanding, dedication, integrity and trust; and results in a level of animal care that brings pride to the vocation of raising food. At age 70, my mom devotedly continues her teaching ministry at Cardinal Newman High School. Mrs. Gibson’s high school English classroom exhibits a magical culture of passion as my mom inspires her students to analyze literature, learn to write, and develop personal accountability. Her vision of inspiring teenagers to greatness continually refills her cup and gives her life a special purpose. Much to my mom’s chagrin, I never developed a kinship with Shakespeare. However, despite the fact that I chose animals over literature, I took a part of her with me as I internalized the belief that a healthy life vision revolves around fueling your passion to make a difference. 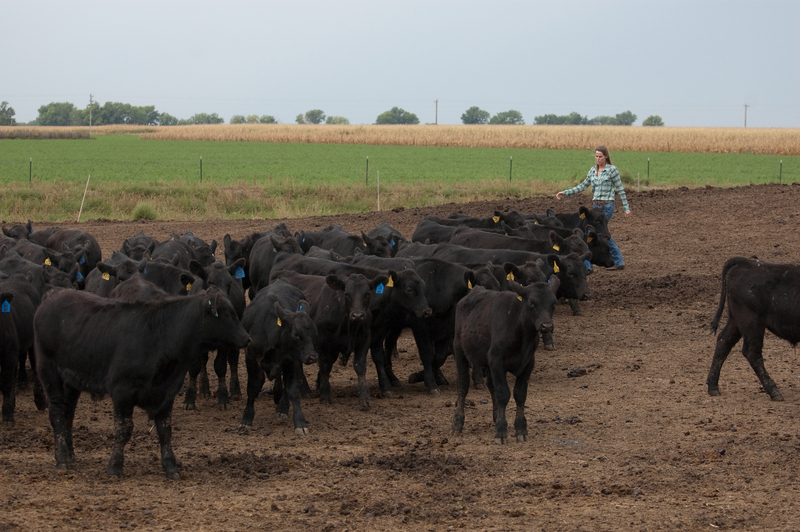 When I graduated from Dartmouth College and started my new life on the Nebraska prairie, a feed yard became my personal version of her classroom and I went to work looking for ways to understand the bovine brain in order to improve animal welfare and beef quality. My cattle taught me patience and perspective. They instilled in me a new level of maturity as I discovered a fascination with seeing the world through the eyes of a bovine. Along the way, I developed long term dreams of helping to bring the concept of total fitness (mental, emotional, and physical) to the art of daily cattle care in order to improve both welfare and animal performance. What started on my farm grew to hold a larger audience as I shared my ideas with other cattlemen in my volunteer efforts on Beef Quality Assurance, as well as hosting interested high school and college students at the feed yard. When you believe in something, it is natural human tendency to want to share it. The above video was filmed four years ago. I had a potent moment this week when I clicked on it and heard myself talking about my passion for cattle, sharing the story of beef production, and realizing that the future would bring change. In the fall of 2012, I had no idea that I would make the decision to close down my feed yard. However, as I listened to myself on the video, I heard wisdom and foresight in my attitude toward the future and my role in it. After this winter, I will no longer be the boss lady at Will Feed, Inc. Despite that, I plan to continue to build my dream of improving bovine animal welfare and beef quality. 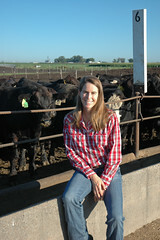 Beginning in February, I start a new phase with a new team as I join the crew of the Beef Marketing Group. I have new goals for expanding the reach of my cattle care philosophy. I have new goals for figuring out better ways to share how cattle are raised and where beef comes from. I have new goals for refilling my cup of passion so that I can continue to make a difference in the lives of others. I am really excited to be able to tunnel my energy and passion into my two favorite components of being a beef farmer: animal care and sharing the story. I will work directly with five feed yards in Nebraska on the Progressive Beef QSA program focusing on high quality animal care. Additionally, I have the privilege of expanding my social media reach beyond Feed Yard Foodie to write blog content and work on communications efforts for my new team. I will get to do all of this while maintaining a more human friendly schedule that allows for time with family and for volunteer coaching efforts in my rural community. When people talk about ‘ethical meat’, what does it mean? This great question came my way from nocrumbsleft via the girlcarnivore last week while I was in Denver. Kita, AKA Girl Carnivore, attended the Top of the Class seminar for beef advocacy where I held an honorary position as ‘faculty’. 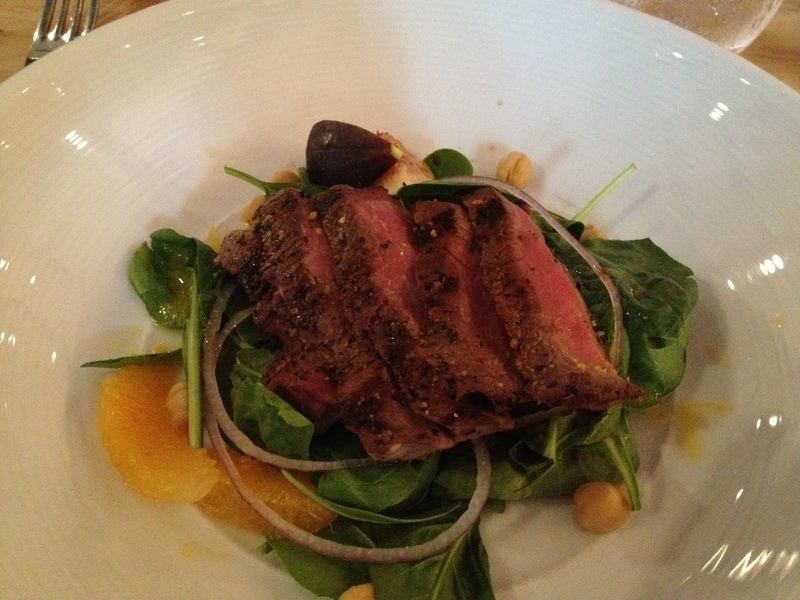 I love the passion that Kita has for all things meat (even the farmers that grow it! ), and I have a great respect for her ability to bring people together online for important discussions. As I offer “Anne’s answer” to what is ethical meat, I am going to operate under the premise that it is ethical to eat meat, and instead address the question from the standpoint of what farming practices enable meat to be described as ethically raised. To my knowledge, there is no official definition or label for ethical meat, so please bear in mind that anywhere you see the term ethical meat you are reading someone’s opinion. For the sake of this article, I am going to focus on beef since that is the meat that I grow on my farm. I personally define the word ethical as ‘morally correct and striving to use practices that do not harm either people or the environment’. As a city girl turned farmer, I have often pondered what makes quality food. After twenty years on a farm, I seem to always circle back to the role of the farmer. The very heart of food exists with the farmer. Doing the right thing tops Anne’s priority list. 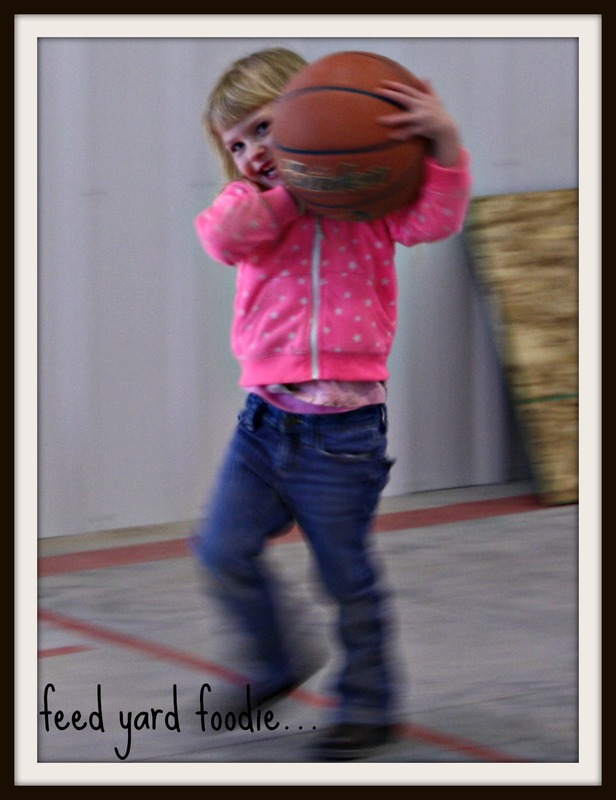 Whether it is caring for my cattle and our farm, mothering my three girls, or mentoring other youth in my community through coaching athletics — I take the responsibility of doing a correct and careful job to heart. 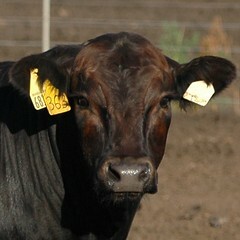 I recognize that many of you (my beef customers) don’t personally know me, so it is hard for you to trust me. This creates a dilemma as every time you decide to purchase my beef, you must take a leap of faith trusting that I am competent and honorable in the care that I offer to my cattle. Almost five years ago, I found a beef farmer program that not only provided a framework to my daily cattle care, but also offered an audit tool to verify my competence. I settled on Progressive Beef because it was the most comprehensive and practical QSA program that fit my core values of quality animal welfare, environmental stewardship (sustainability), and food safety. Progressive Beef provides me with 39 different Standard Operating Procedures to ensure a daily culture of good ethics on my farm. Crew training and in depth documentation requirements pair up with audits that verify the behaviors and management practices of my crew and I. The core values of the program become a promise of competence when I pass the audit; thereby lending credence to my claim of being an ethical farmer. In essence, Progressive Beef closes the gap between the farmer and his/her beef customer when a personal relationship between the two is unattainable. Aligning our core values within the Progressive Beef QSA allows for both of us to enjoy ethical beef. A few years after I moved to rural Nebraska, an elementary school teacher told me “Anne, it takes a community to raise a child”. I was a new mother at the time trying to figure my way into the vast responsibilities of having a child, and her words resonated in my heart. Many years later, I still think of her advice as I continue to raise my own daughters as well as serving as a youth athletic coach in our small town. A great amount of power exists in a community. The team work and dedication to a common cause provides strength and longevity. Just as strength comes in numbers, compassion increases exponentially as the group works to provide for its members and the common good. Although my vocation is responsibly raising beef, the local kids that I coach and mentor serve as a daily reminder of what is truly important in life. Of all of the things that my community has given to me over the past twenty years, the ability to positively make a difference in the lives of our youth is the one that I truly treasure. While it takes a community to raise a child, it also takes a food production community to raise high quality and traceable beef. From the ranch all of the way to the dinner plate — an organized supply chain needs to inspire all of the contributors to act with integrity and congruence. What Virginia, Rachel and I do on our farms makes a difference in the lives of our animals. In order to complete the circle of quality, we need partners at the retail level of food production to maintain and augment that value all of the way to your dinner table. The best way to do that is to work together to build a brand. Three years ago my feed yard became a member of the Beef Marketing Group. I was looking for a group of like-minded feed yards who focused on quality animal care, and were interested in coming together to sell a value added product. 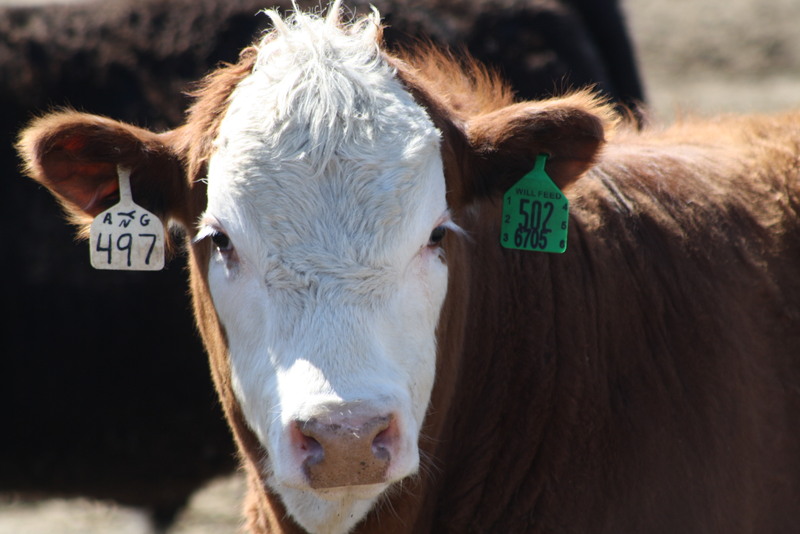 Each feed yard in our cooperative participates in the Progressive Beef QSA program and is audited against animal welfare, food safety and sustainability standards. The Beef Marketing Group now teams up with Tyson Foods and Performance Food Groups to bring the Braveheart Beef product to your restaurant table. This is a unique and true partnership that adds value all across the production chain. Cattle care and farmer integrity are assured, and the Path Proven technology verifies that the DNA of the Braveheart Beef comes from one of our Progressive Beef certified animals. BMG, Tyson, and Performance Food Groups come together to let you know that “we’ve got your back” relative to beef quality and farmer integrity. The product is sold in restaurants all across the country, and we are hopeful that demand for it will continue to grow making it even easier to get to your dinner plate in the future! 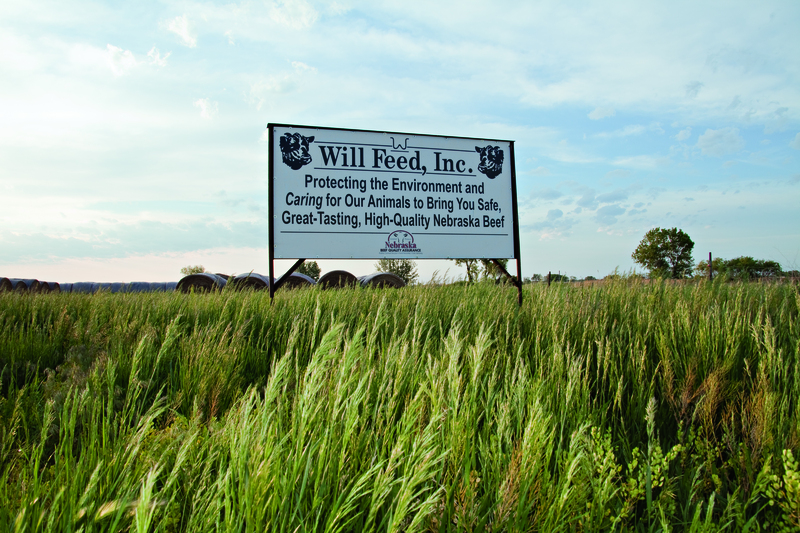 In the spirit of a little bit of friendly competition, all 21 Progressive Beef Certified Feed Yards are ranked twice a year according to how they scored on their last audit. I have always held a particular fondness for being the best, so my crew and I embraced the challenge. Last night we celebrated our victory with a steak dinner. One of the things that I love best about my crew is that we are like a big family. 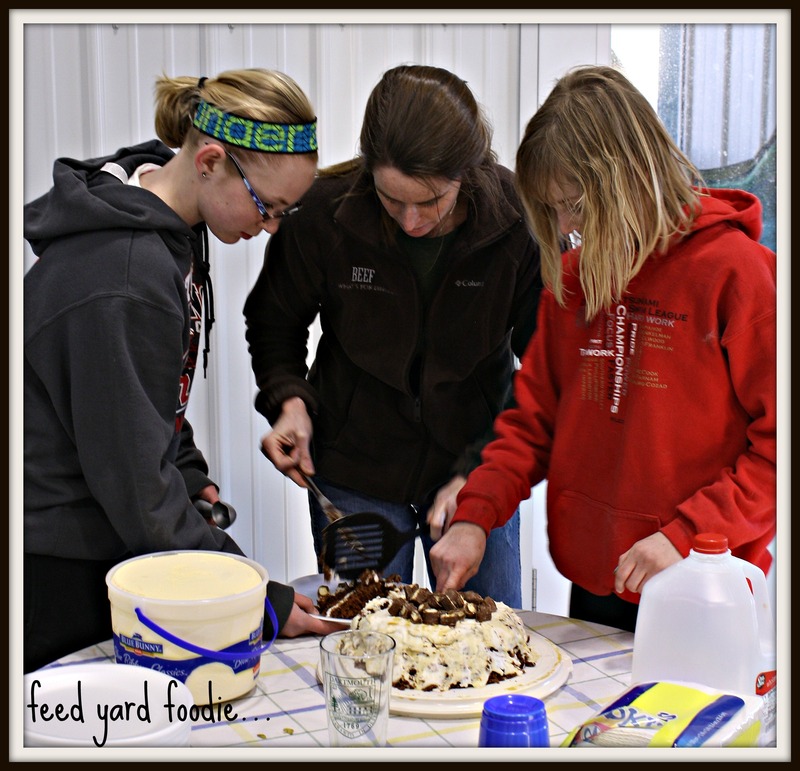 Work at the feed yard isn’t simply work, but rather it is a special part of our lives that we share with our families. We enjoyed a great night of fellowship as our children and grandchildren played basketball, ran around the yard, and said hello to the horses — cats — and dog. And MOST especially to revel in the knowledge that we make an AWESOME team! The Ivy League Basketball championship team gets an automatic conference championship berth in the NCAA tournament. It is likely that many years no Ivy team would qualify for the trek to March Madness without the conference affiliation as larger schools with athletic scholarship possibilities tend to dominate the college basketball circuit. 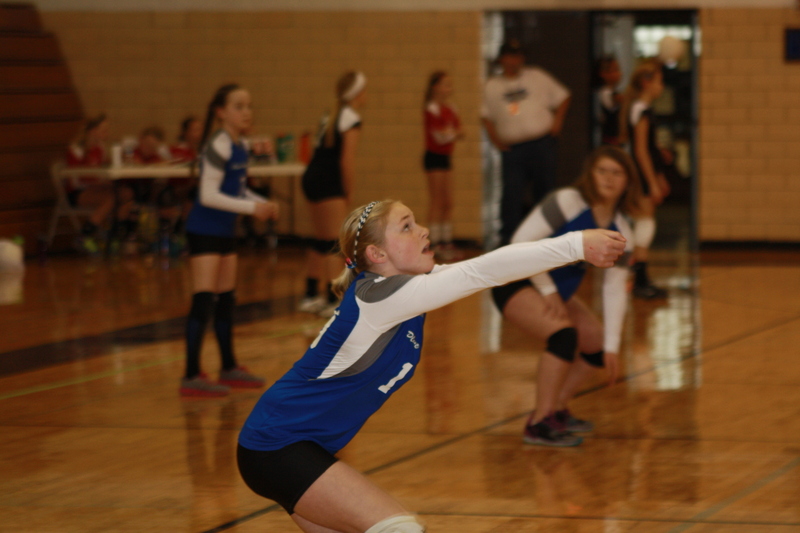 Conference alliances of college teams are common place with membership bringing the schools recognition, monetary compensation, and the ability to bring the product of athletic entertainment to a broader audience. The teams continue to maintain their own independent identities while also attaining the expansive status of conference membership. My father-in-law and Archie built our feed yard in the late 1960’s and early 1970’s on the land that Archie’s family homesteaded on a generation before. 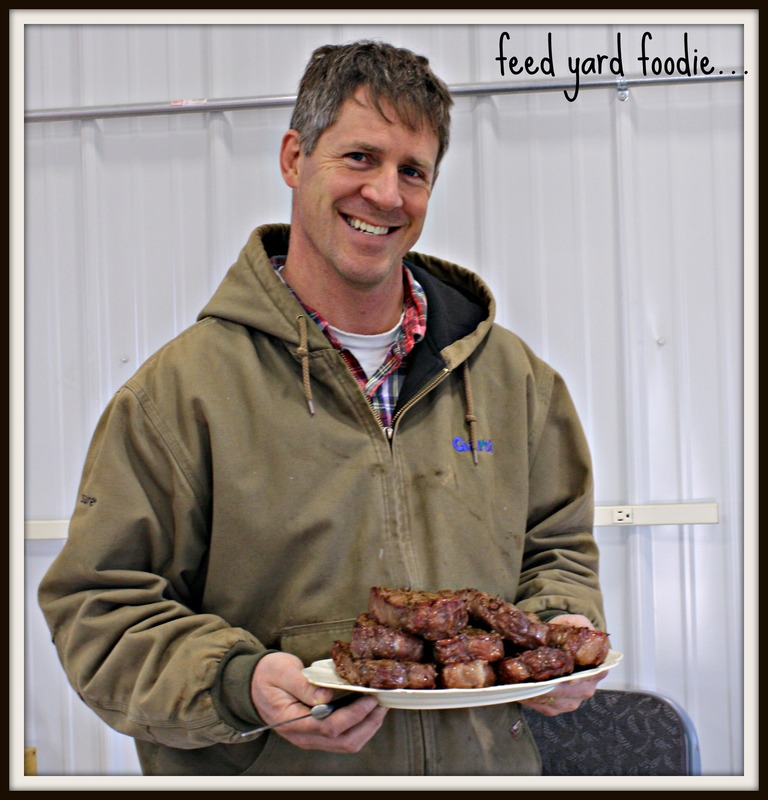 The feed yard is literally a combination of a dream and a tremendous amount of hard work. We have the ability to house up to 3000 cattle at one time—this size was fairly average thirty years ago, but falls much closer to the small end of the scale in 2014. The truth is that I love the small scale of my cattle farm. Although I assume all of the responsibilities that come with being the owner/manager, I am still able to be very “hands on” with my animals working alongside my crew of three. Exercising/acclimating calves, leading the processing crew, reading bunks and periodically checking daily cattle health are all things that I love to do. I know that if I expanded the size of my farm that a lack of time would necessitate that I give up some of those “hands on” things. The down side of a small farm in rural Nebraska is having a large enough supply of cattle to be able to build the brand and marketing program that I need to bring a responsibly raised and quality beef product to those customers that desire it. 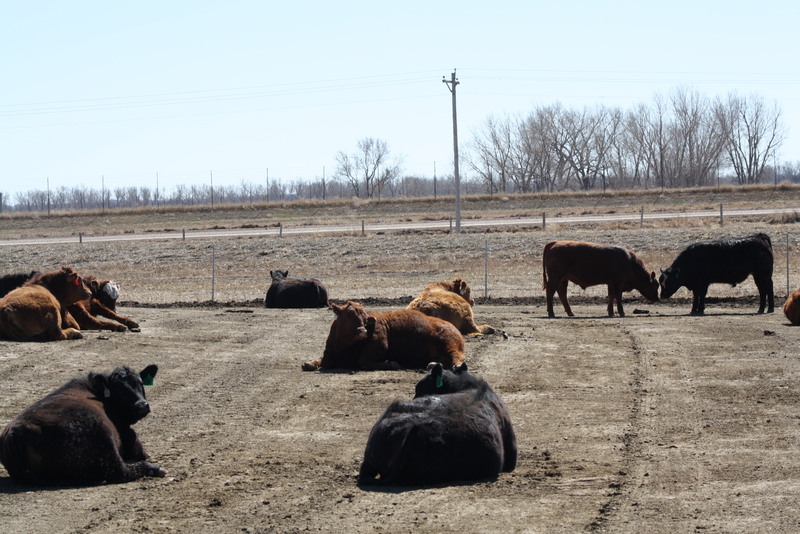 I recognized many years ago that something was going to have to change for my small cattle farm to remain sustainable in the ever evolving industry of beef production. I needed an alliance — I was the small Ivy League school that wanted a chance at the the big dance…I went looking for cattle feed yard conference to join in order to reach my goal of long term sustainability while still remaining true to my personal daily commitment to animal welfare and high quality beef. It is no secret to anyone who knows me that I am an incredibly particular person. I set the bar high in a constant search for excellence. 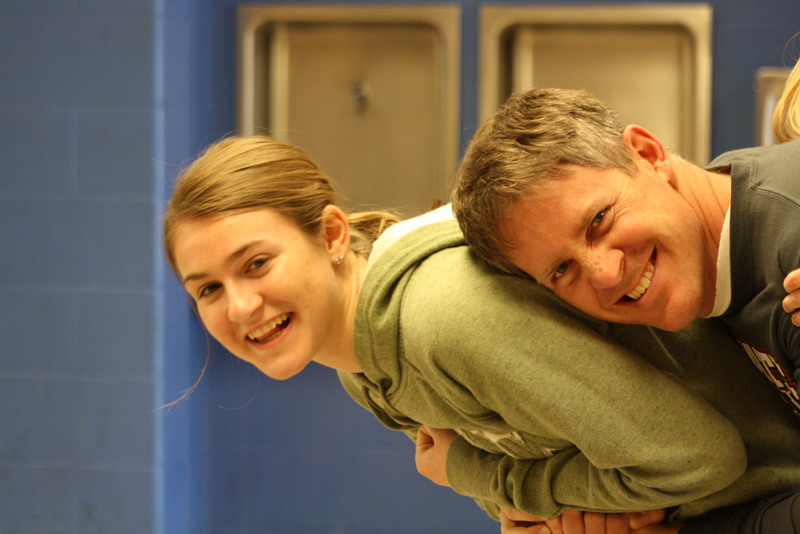 I don’t settle, and I spend each day trying to inspire my daughters to share that same passion. More than a year ago, my feed yard became a part of the Progressive Beef team, and joined the cooperative called the Beef Marketing Group. Progressive Beef and BMG gave me the conference affiliation that I needed while still allowing the independent identity that I desire for my farm. 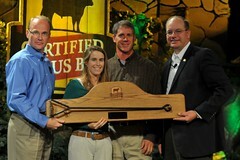 The alliance is a strong one, and I am proud to be a part of such an innovative and quality minded group of cattlemen. Honestly, I view this affiliation as one of the greatest successes in my professional career. I recognized what challenged my cattle business, and single-handedly found a way to fix it while still remaining true to the standards that make me uniquely Anne. My alma mater has never been able to make their Ivy League conference affiliation result in a win in the final game of March Madness, but Will Feed Inc. made the winning slam dunk with their conference alliance with the Beef Marketing Group. Sometime between my 2nd and 3rd visits to Florida to see my parents this fall, the feed yard had its final internal Progressive Beef Audit for 2013. In total, my cattle farm is audited three times in a calendar year as a result of my participation in the Progressive Beef program. The first and third audits are “internal” in nature where a BMG quality assurance director conducts the audit; and the second one is external with a third party consultant conducting the audit. 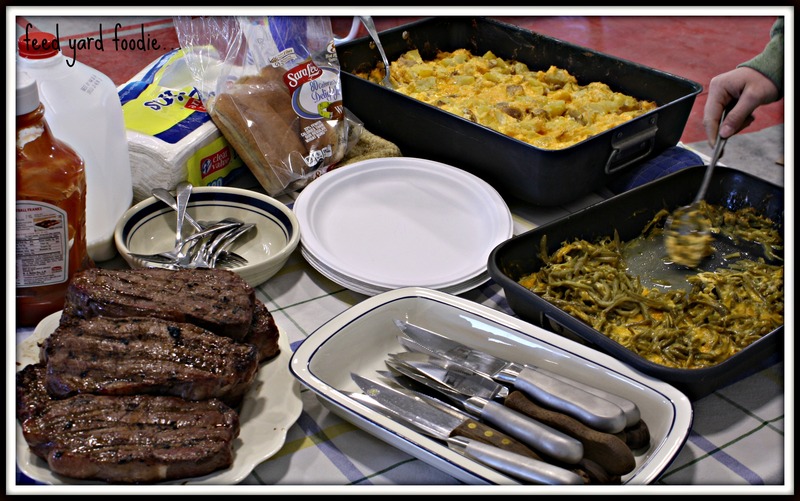 The Progressive Beef program is based on three tiers: Food Safety, Animal Welfare, and Sustainability. In order to ensure that my feed yard is working diligently in these areas, we follow a certified HACCP plan for our feed mill as well as 39 SOP’s (Standard Operating Procedures). These 39 SOP’s cover everything from cleaning water tanks and cattle home pens — to cattle handling — to taking care of and cleaning farm equipment — to food safety measures. The HACCP plan and SOP’s provide the basis for everything that we do on the farm as well as the standards on which we are audited. While these audits take time and are a bit intrusive, I believe that they help me to accomplish excellence in cattle care. They are a necessary second step to verify the high quality daily care practices for my animals as well as the safety of the beef that those animals make. I would like to take a minute to publicly thank the three awesome men who give of themselves each day to help me to care for our animals. 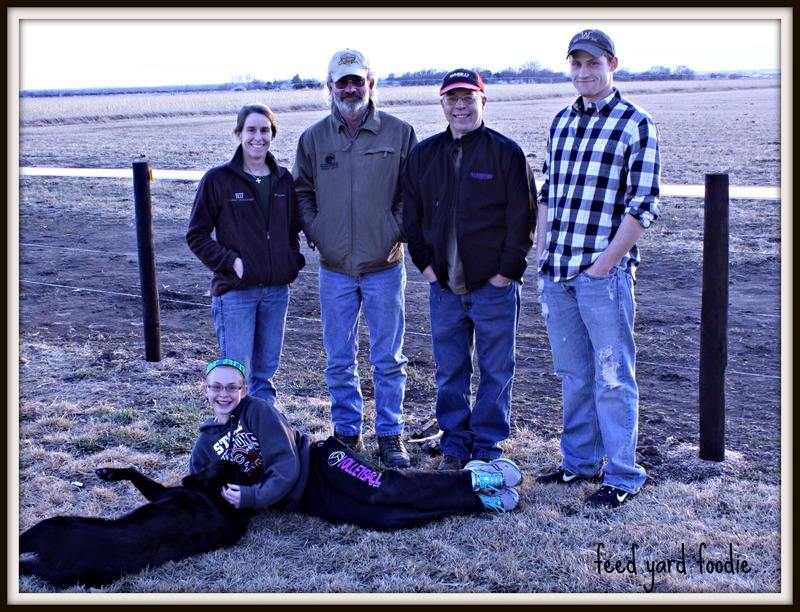 Their dedication, compassion, and loyalty all play an enormous role in the success of my farm. Together the four of us make a fabulous team — which ensures success on this important journey. I hope that sometime during this holiday season you will choose to eat a delicious beef meal as your own personal tribute to us!